This product CANNOT be ordered online, please contact Techplus for assistance. A PIT SURVEY FORM must be filled out if this product is to be ordered. 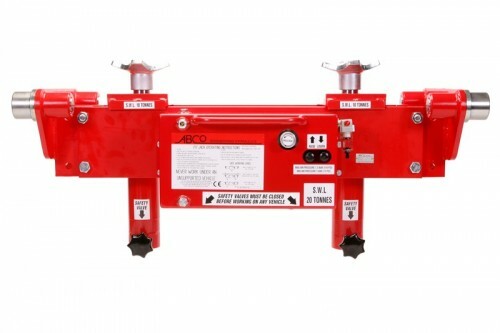 Additional locking system eliminates the chance of accidental lowering of the cylinders ensuring operator safety. Streamlined to allow easier access underneath the pit jack. This carrier allows you to locate all the adaptors and extensions on the pit jack beam for easy operator access. Located on the jack to carry a number of hand tools.